MotoLadies unite! 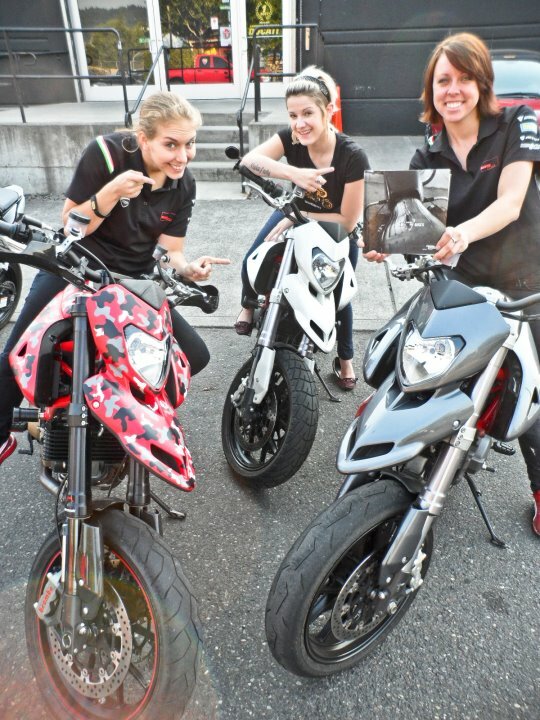 Hannah Johnson, me, and Janell Mattson outside MotoCorsa. We’re holding the book “Chicks on Bikes” by Christina Shook.